The 2017 edition of the Global Compact International Yearbook, titled “Sustainability in Troubled Times,” was officially recognized as a UN flagship publication at the conference on “Public–Private Partnerships for the Implementation of the 2030 Agenda for Sustainable Development” (Geneva, April 10 – 13, 2018). Dr. Elmer Lenzen, Chair of the macondo foundation, which is the patron of the Global Goals Yearbook, emphasized in his acceptance speech the significant role that the partnerships between the United Nations and the private sector must play to achieve the goals of the 2030 Agenda. 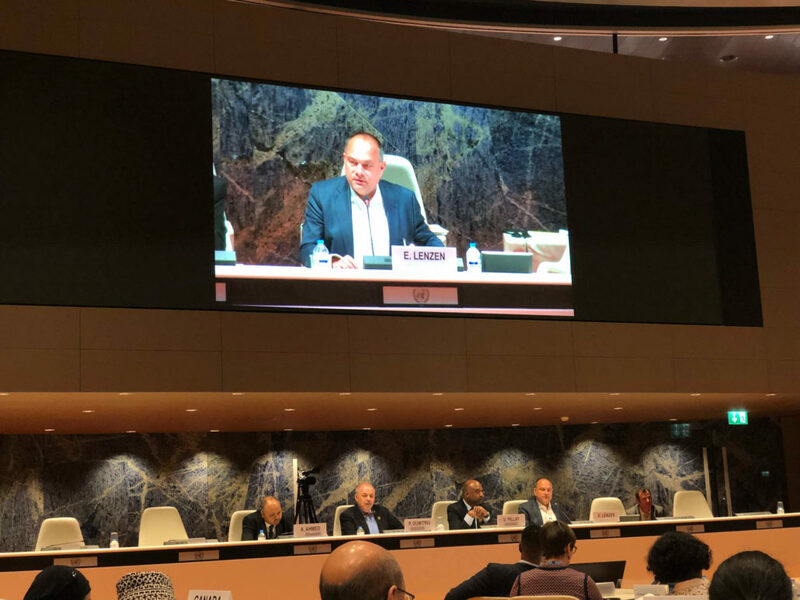 Geneva – Lenzen explained: “Asymmetric alliances and asymmetric partnerships have an enormous potential for both the UN as well as the private sector. But how do they work? Who are the stakeholders? And what does this mean for the UN system and its models for partnership?” These questions and many best practices given in response form the editorial concept of the Global Goals Yearbook, which follows nine successful editions of the Global Compact International Yearbook. The conference illustrated the kinds of representation that the UN is striving for: equitable geographical representation, multistakeholder participation (from intergovernmental bodies, the private sector, academia, civil society organizations), gender balance, intergenerational dialogue, etc. From that perspective, the conference evaluated the partnerships between the UN and the private sector in the context of the 2030 Agenda. Participants explored different means to improve contributions from the private sector toward the implementation of the 2030 Agenda. They also sought ways to generate interest within the private sector to engage in partnerships with UN organizations as well as to improve efficiency in their use of resources.